o An External IN to process external audio was also added. “Very clean and great functioning Studio Electronics SE 1 aka Moog on a rack. Don’t miss out on this great deal. All those phat and warm analog sound you are looking for are in this module. “Fair. Unit turns on fine, MIDI notes trigger, but there seems to be some random inconsistencies. Some of the Patch names are missing letters, some of the buttons don’t immediately produce the desired effect, but the knobs do. You can scroll through patches and they change sounds, but some of them just don’t “feel” right, they sound unusable. Unit has not been used in years and is likely an economical fix that will be easily worth the investment. ” Auction ended. Click here to browse on eBay. The Face is looks perfect, except for minor rack ear scratches” Auction ended. Click here to browse on eBay. “Great beefy vintage mono synth up for auction! This unit is fully functional and has been used in a smoke-free home studio. I will miss this guy, but need to move and can’t take it with me. Has some minor scratches on the top of the casing from being in the rack.” Auction ended. Click here to browse on eBay. ” Selling my Studio Electronics SE-1 in excellent condition . Very clean cosmetically and works perfectly .” Auction ended. Click here to browse on eBay. “For sale is my Studio Electronics SE-1 Analog Synthesizer. It is in excellent cosmetic and working condition. It has only a few minor blemishes on the unit as shown in the photos. This thing can make some BEASTLY sounds and is a great deal for anyone wanting to get close to that Minimoog sound without the hassle of tuning and that huge vintage Minimoog price. It comes with the power cable.” Auction ended. Click here to browse on eBay. “FOR SALE IS A FULLY FUNCTIONAL STUDIO ELECTRONICS SE-1 SYNTHESIZER. IT IS IN EXCELLENT CONDITION AND COMES WITH THE POWER CORD. IT ONLY HAD ONE OWNER AND IS VERY CLEAN” Auction ended. Click here to browse on eBay. 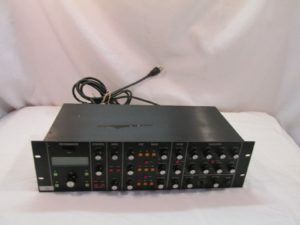 “This Studio Electronics SE-1 is in good condition and fully working. It was part of a studio liquidation sale and was in use before the studio closed. A manual and power cord are included.” Auction ended. Click here to browse on eBay. 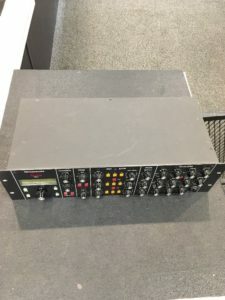 “Up for auction is a Studio Electronics SE-1 synthesizer in Good condition.This unit is in absolutely perfect working order.It works and functions 100% perfectly without any kinds of problems.It is in good condition cosmetically as well.The unit is 110V to 220V which means this will work anywhere.I will send you a suitable power cable along with the item.No manual included.Thanks.” Auction ended. Click here to browse on eBay.